The Great Row: The Final Result! Last week tension was in the air (or should I say ‘water’? 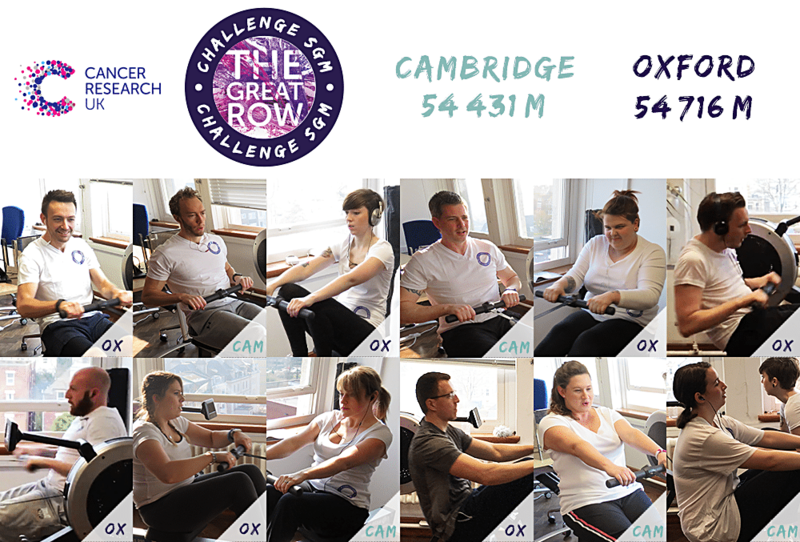 ), as Oxford and Cambridge competed against one another in an epic row-down! After the tide changed several times, we can announce that the winner by only 285 metres, was Cambridge! Well done to everyone who took part, we raised £56 for Cancer Research UK!